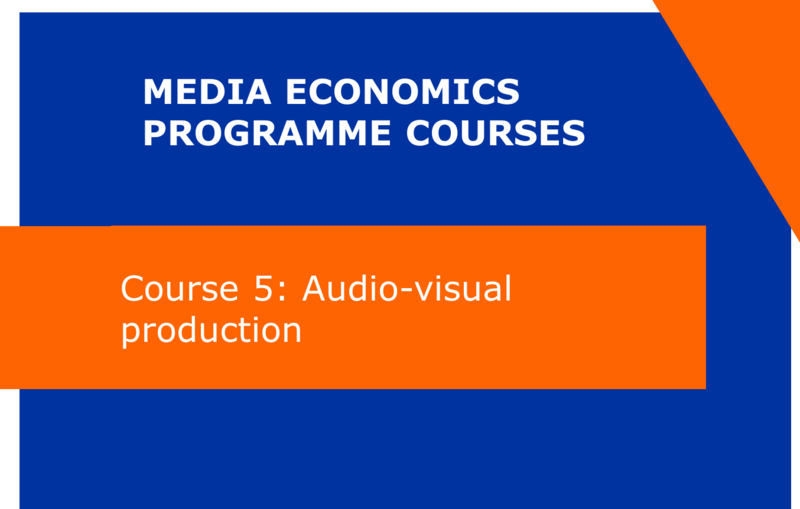 Course 5 focuses on the interplay between media economics and audio-visual production. It combines insights from recent work within production studies, policy studies and media economics, with a specific emphasis on financing of audio-visual production on the one hand, and creating the best environment and contextual circumstances for successful audio-visual productions on the other. It sheds light on recent trends in European and worldwide drama production. Course 5 is an elective course for participants of the full Postgraduate programme. Acquire knowledge of trends and shifting financing and revenue models for TV drama, film and documentary production and format trade. Acquire an in-depth understanding of contextual and structural thresholds in European audio-visual markets. Acquire detailed knowledge of government support schemes and their importance for audio-visual production. Course 5 is also part of the full Postgraduate in Media Economics programme. Participants of the Postgraduate need to register via the VUB website.